Pony tails are making a comeback and are no longer a style limited to your workout look. Some of the most recognised and influential designers such as Marc Jacobs and Givenchy have put pony tails on thier catwalks for their 2011 Fall runway shows. This style may be low maintenance but certainly screams high fashion. face, but be sure to keep it sleek and clean cut to give yourself a classy look. hesitate to keep a few strand out at the front to frame your face, complimenting the softness of your facial structure. give you that extra volume that you may need if your hair is looking slightly limp. or better yet take a thick strand of hair from your pony and wrap it around your hair tie pinning it securely under your pony with a bobby pin. this minor detail will give you a more natural and sophisticated result which will make all the difference that can be worn with both casual and formal outfits. 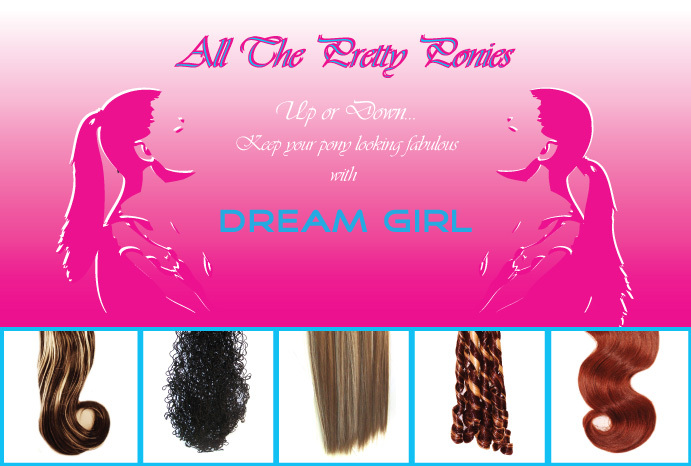 The best way to get started is to browse through Dream Girl Hair Extensions keeping in mind your hair color, volume, length and bone structure.